Hello everyone and I hope you guys are enjoying the winter that almost wasn’t. Starting it off on the first I will be with the Poorhouse Millionaires at Ralston’s Goat and our host Felicia Aleman for an evening of comedy and music, the food is great and we always have a really good time. On the 2nd you have a few options. Coco Montoya ay Black Oak. Coco is a world-class Blaus artist and former member of the John Mayall’s Blues Breakers. He has been at it for over 40 years and is well worth the drive. If you are in more of a bay area mood you could head over to The Poor House Bistro in San Jose and check out Elvin Bishop. Elvin is blues royalty and can be seen at some of the biggest blues festivals in the world, this is a great opportunity to see him in a more intimate setting. Lastly, on the second you can find Jeramy Norris and the Dangerous Mood at the 133 Club in Manteca, Jeramy is one of the best blues players around and can scratch your blues itch like no other. On the 4th head on over to Moe’s Alley in Santa Cruz to see blues harp master Curtis Salgado. Curtis is a veteran player and has been featured on the Harmonica blowout tour several times. Also on the 4th is a personal favorite Harlis Sweetwater Band at the Powerhouse Pub in Folsom. Harlis is a firebrand blues-rock guitar player with a killer horn section. His drive and passion have taken him far and wide in the past few years and his star is on the rise. On the 9th in Fresno, you can try a little something different in the form of Big Sandy and the Fly-Rite Boys. 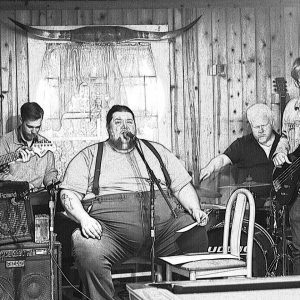 Big Sandy is one of the absolute best rockabilly artists active today, if you dig old school jump, you will go bananas for Big Sandy. Jumping ahead to the 15th you have another chance to see Jeramy Norris as Black Oak Casino in their brand new showroom. Jeramy specializes in keeping you dancing and having a good time. For St. Paddy’s day in the 17th, you can check out the Poorhouse Millionaires in Santa Cruz at the Catalyst. I am told that SC goes a little crazy for this holiday so if you are going to make the trip try and make hotel reservations ahead of time. 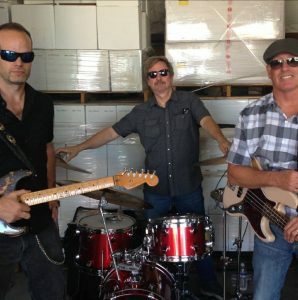 I am happy to tell you that you are going to have 2 chances to see Rob Hill Band this month. On the 21st Rob is delivering his Jazzy Blue music to Tressettis World Cafe for a fundraiser and on the 25th you can catch him and the band at Ralston’s Goat for Sunday Brunch. Rounding out the month I will be doing a now rare performance with Big Earl and the Cryin’ Shame at Nino’s for their customer appreciation party and potluck. This show has been a yearly tradition for the past 4 years now and it is always a highlight show for us.